To apply for Employment Insurance, you must have lost your job through no fault of your own. This is very important! If you were terminated due to misconduct, voluntarily left your position, or are participating in a labour dispute such as a strike or lockout, you do not qualify. If you lost your job due to a shortage in work or layoffs within the company, you may qualify. You must have been employed in insurable employment. This means that you have paid premiums into the EI Account as you worked, and are thus eligible to claim EI benefits. Paying premiums makes it easier for you and thousands of other temporarily disadvantaged Canadians to continue to live and support themselves as they look for employment. You must submit a Record of Employment (ROE) to Service Canada. These are documents submitted by your employer that prove you are no longer employed. These can be submitted in either paper or electronic format. You must have worked the required number of insurable hours in the last 52 weeks, or since the start of your last EI claim. These hours will vary depending on your regional rate of unemployment. You must be ready, willing and able to work; you must also be actively looking for employment. 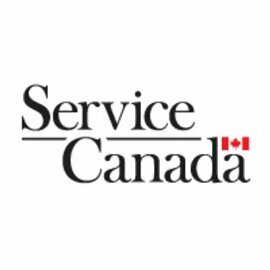 Service Canada requires you to keep a record of employers you contact, and when you contacted them. If you do not follow this rule, your benefits may be disrupted. At Jibe, we know these are difficult times. We are here to answer any questions you may have about EI, and remember, hard times only last so long! Small-business owners in Alberta brace for minimum-wage hikeCA, CGA, CMA, CPA?